Although the children is drawing lesser at home, they got to draw in school during their arts lesson. The art lessons are much different as compared to what I had during my Primary school times. 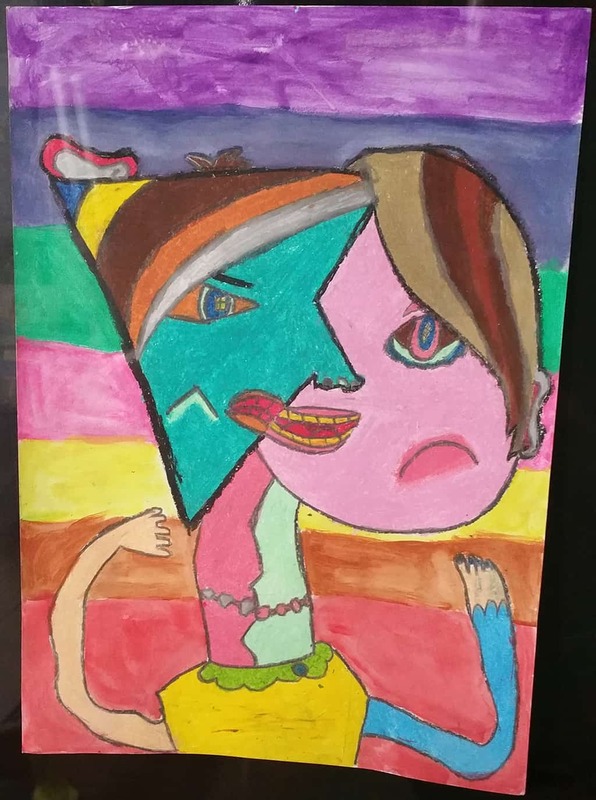 The children actually got to do different kind of art pieces and the school had also encouraged the students by displaying some of the selected art pieces to be displayed in the school. 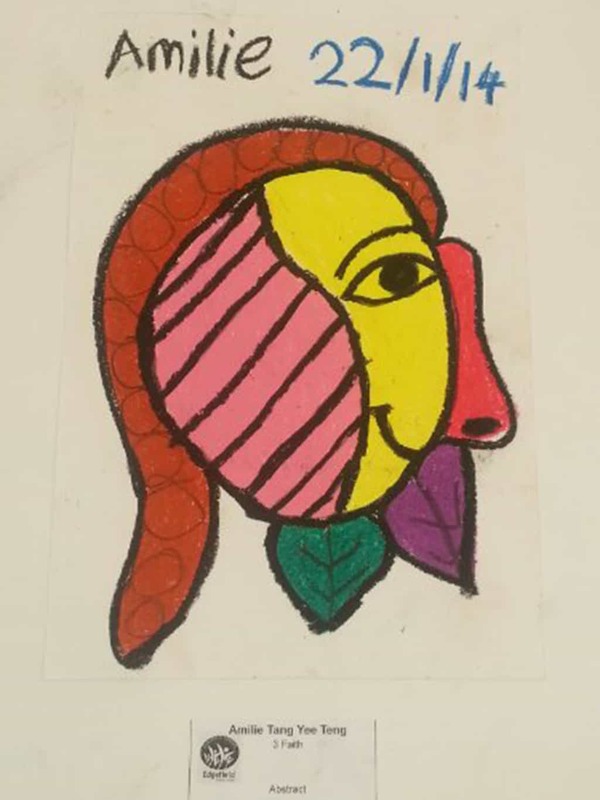 Parents got to see the children's art pieces when we attended the school events, such as Arts Alive, where the kids put up some performances to showcase what they had learn for the school term. Amilie is lucky that her art pieces are selected to be displayed for 3 consecutive years. 2015, she told me its mirror image. And finally the latest art piece, sketch of self portrait. 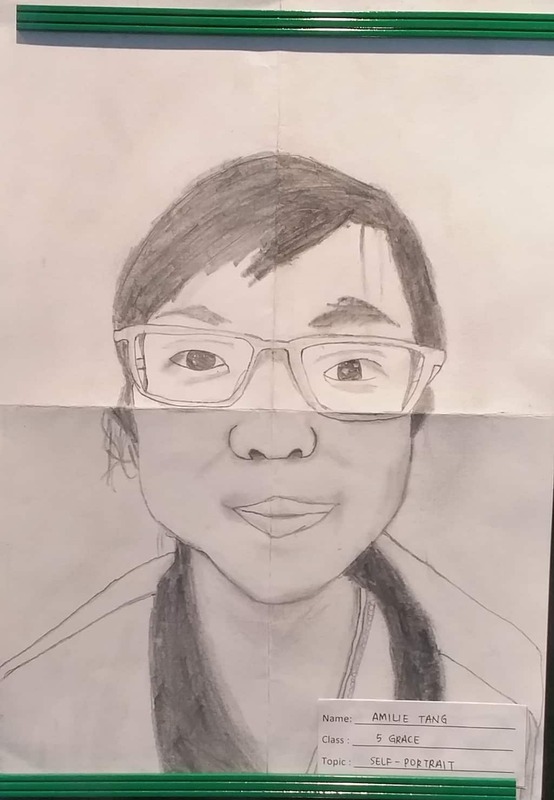 Well, when told me about her picture got displayed in school after the previous year's picture got returned to her, I wasn't really expecting me. I went to school that day to see Athina's Speech and Drama performance and had a pleasant surprise. Don't you think she drew a nice picture of herself? Not only does her picture got displayed in school, she also got her drawing selected to be printed on the school P4 camp T-shirts. The school had the children submitted their art pieces for the school camp t-shirts and camping booklet. Amilie won the first prize and her artwork is being selected and printed on the camp T-shirts. 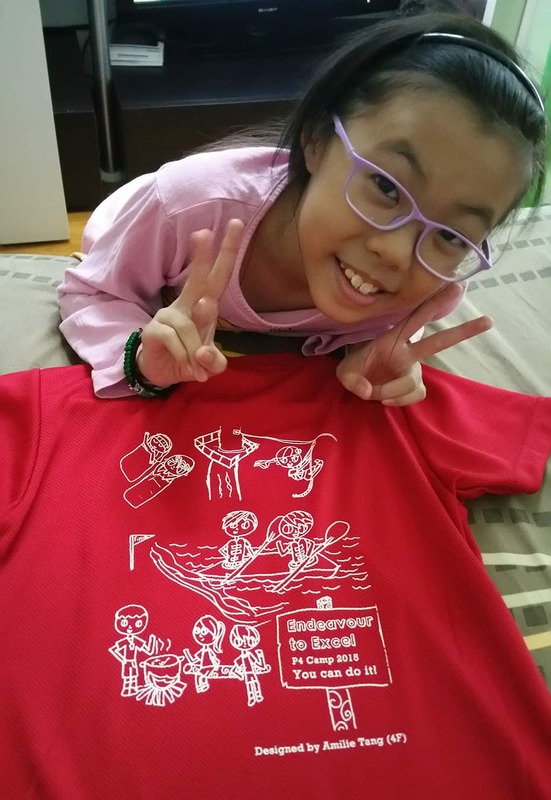 She is very detailed and the camp t-shirt sure cover what are the activities the children would be doing during their camp. 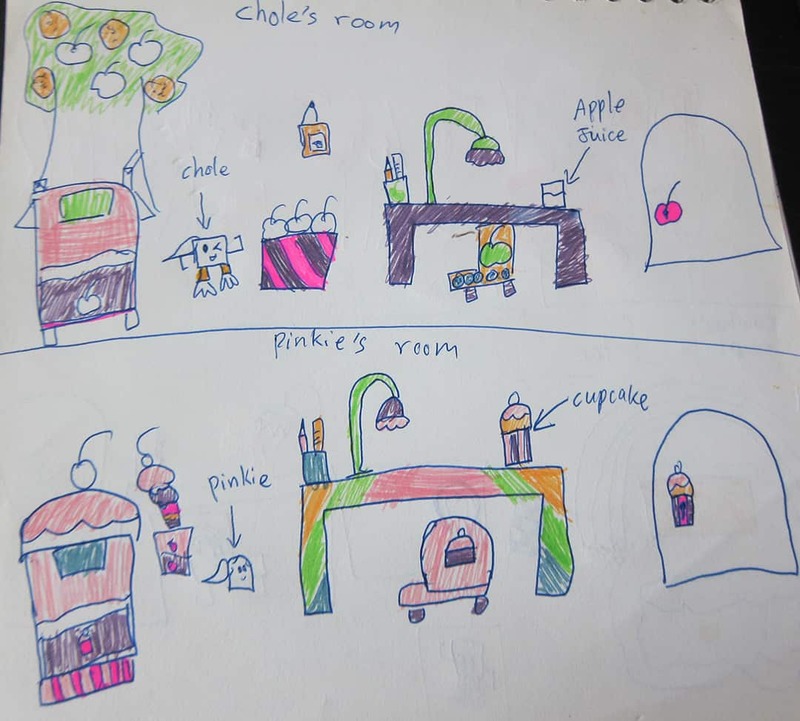 Amilie also like to draw her own comics and said her comics is about the "Eraser Family". Had always wanted to post her comic up but didn't managed to. Since we are talking about it, here's a glimpse of what she had drawn for her own Eraser family comic. Well, that's the end of the post for today. Just want to share her art pieces with everyone and to keep a record of her pieces. Hopefully I will be able to upload all her comics up, though some doesn't seems to make sense but to me, the work are fascinating that I wanted to keep it online. In case we lost the books later on.